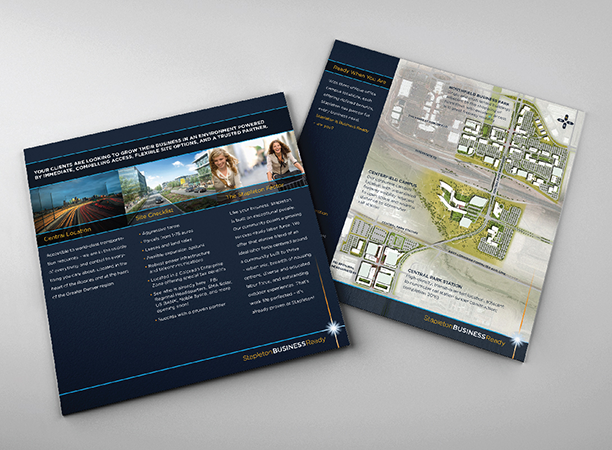 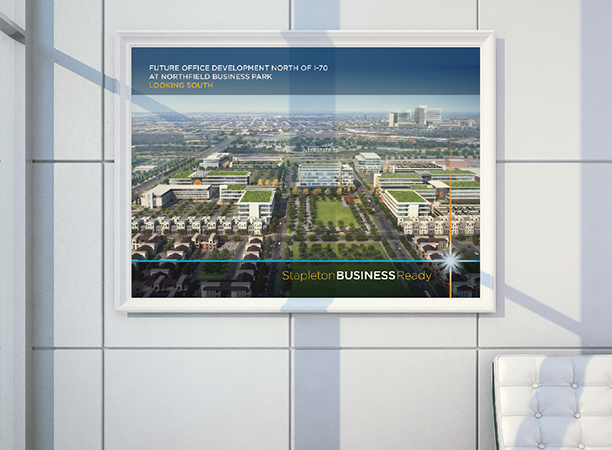 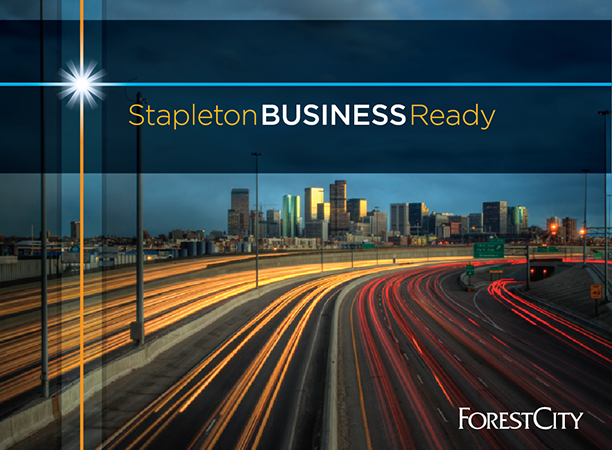 Forest City Enterprises engaged Bearings to showcase their commercial business real estate land opportunities in Denver’s Stapleton community, one of the largest urban infill projects in the United States. 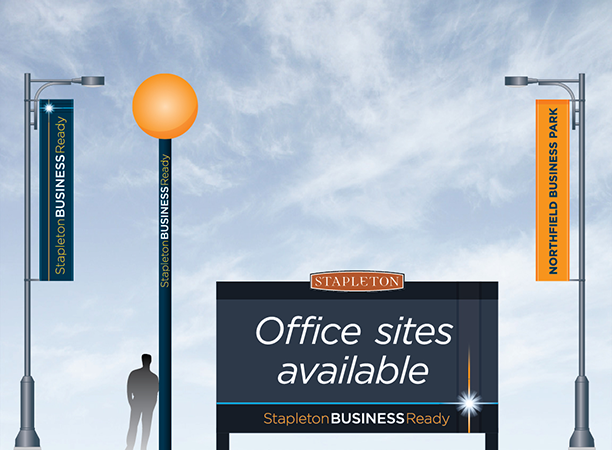 Stapleton was well known as a premier sustainable residential community with significant retail presence, but not on the radar of national site selectors seeking to relocate businesses to Denver. 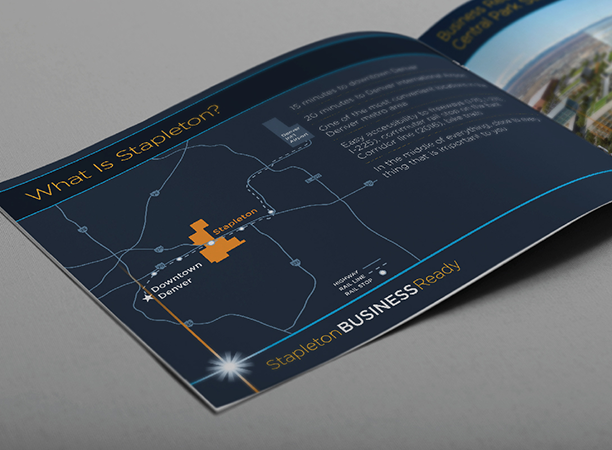 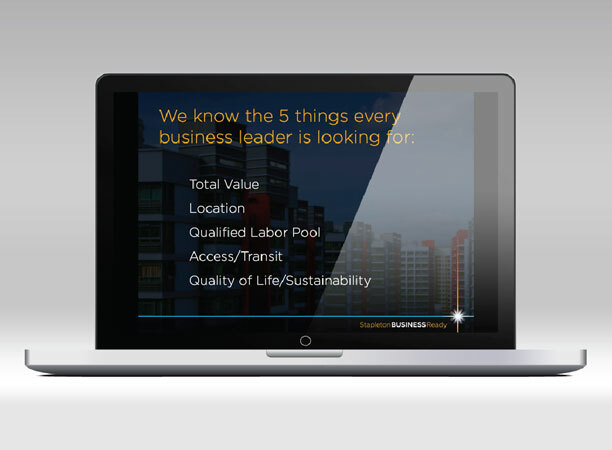 Bearings created the Stapleton Business Ready brand to focus attention on the commercial properties ready for development and showcase the benefits of access to DIA, highly skilled labor force, and new urbanist lifestyle.